2016 was a milestone for human progress – in all the wrong ways. America, a beacon of hope for unity and universal acceptance of race, creed, colour and religion, witnessed the election of President Trump, as the entire world watched on in shock and disbelief. The United Kingdom, once the rulers of the world, took a leaf from India’s 1947 diary by pushing the European Union out of their affairs, and Brexit was born. Human rights watchdogs and concerned citizens all over the world watched aghast as Syrian children washed ashore pristine Greek sands; some alive, some dead. The world has turned upside down, and we’re only just realizing the gravity of it. 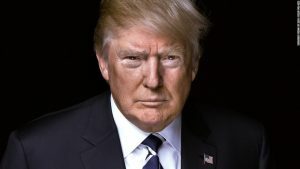 Take the case of Trump – his plans to build a wall and tackle Islamic extremism may have won him the election, but his proposal to stop highly-skilled immigrants entering the US – through the H1-B visa programme or ‘America First’ – quietly escaped media attention. Britain’s Theresa May, frantically searching for new trade partners, made a quick stop in post-colonial India, but was unwilling to compromise on easing visa restrictions for skilled Indians during talks with Prime Minister Modi. The results were as specific as Brexit. Germany, in its commitment to solving the migrant crisis, took in thousands as refugees hoping to fill the skills gap; meanwhile, the ‘Jungle’ in Calais was burned down. So, did much change in 2017? Unfortunately, no. Whilst crises such as the above are largely deemed ‘social’, it is easy to discount their trickle-down impact on economies and financial markets. Let’s look at what happened this year: Trump’s potential changes of the H1-B and termination of the Dreamers programme already has skilled workers looking elsewhere, many choosing Trudeau’s seemingly utopian Canada. The gap between skill and labour shortage is growing, while America runs the serious risk of civil unrest in the aftermath of Charlottesville and the uncertain future of its Muslim diaspora. The knife cuts deep here – Trump’s rise has divided America into two parts: one that supports him, the other ashamed of calling him their President – and the internalised anger is simmering just beneath the nation’s surface. Meanwhile, Britain’s insistence on taking back control has backfired, with not a single politician able to define Brexit. As the pound continues to be volatile, universities in the UK are struggling to keep funds flowing; international students are flocking to countries that offer a secure future and post-study work visas, as both EU and non-EU student applications are in decline. 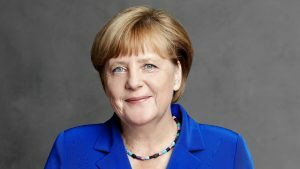 With refugees struggling to resettle and Merkel’s plan to integrate refugees into the workforce has boomeranged, Germany had some tough decisions to make this election – clearly, mixing altruism with economics has only burgeoned uncertainty in the region. In the endless pursuit of nationalism, we are fracturing our economic interdependence – only this time, we will need to sort out the mess on our own. If one reflects on each situation, the consistent thread is that of a previously forward-looking country suddenly retreating into extreme self-interest or protectionism. Highly-skilled workers and even tourists are beginning to avoid America for a reason – and the reason is fear. Fear of whether you will be asked questions at immigration, or if people will view you differently for no fault of yours. The same fear is catapulting several French, Romanian and Polish citizens to leave the UK voluntarily, especially after a classified ‘post-Brexit policy’ document was leaked and subsequently published by The Guardian. Fear of acceptance, whether racially or religiously, is causing many migrants to question their status in Europe as well. It is curious that Germany is the only country that seems to want to aid the refugees by offering asylum and shelter – however, the question here is of perspective. To the external world, it seems noble. But to a German? The social case for refugees in the country has sparked repeated controversy and is a hot topic at every debate – but one would like to ask: doesn’t charity start at home? For a German already struggling to find work in a country where free education is producing qualified graduates quicker than it can employ them, the influx of thousands of young migrants equally enthused to contribute to the labour market may be more cause for worry, than empathy. The result is that of insularity within the country itself – and the resentment is showing. Whilst some Germans are taking their own steps to seek better opportunities further ashore, many Syrian migrants are beginning to wonder whether leaving Germany might be better; a few have even attempted this treacherous journey via Turkey. It begs the question: where does one draw the line between economics and benevolence? “The world is flat”, he said, and what’s more, we believed it. But Friedman’s expression is finally being challenged, and hard. 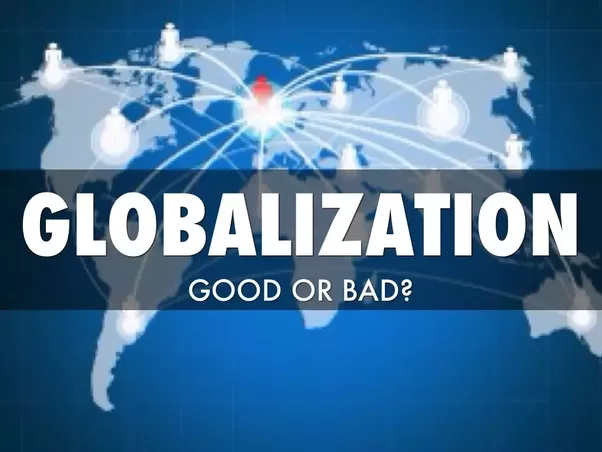 The economics of globalisation are set to be slowly eroded by the economics of insularity – be it disagreements in trade, restrictions on immigration, and attempts to harness civil crises to address economic need. From an ecosystem that thrived by leveraging the advantages of interconnectivity, we are regressing to an increasingly fragile, disjointed and inward-looking system. Our society is determined to make its borders known, whether physical or psychological – and there’s nothing we can do about it. Welcome to our Great Insular World.